Taking a leaf from the Delhi police, the City police have now said it is a must for owners to register the details of the tenants with them. This not only ensures safety of the residents, but can also help with police investigation if necessary. Of late, attempts to loot ATMs are one of the hottest crimes in the City. The police are still groping in the dark to nab these offenders. This year alone, nine such cases have been registered with the crime branch. The modus operandi of all these cases was found to be similar. Police say the gang members are not locals and are in the age group of 25-35. “During our investigation we found that these offenders are not locals. Most of the offenders seem to be natives of northern part of India, while some are natives of other districts of the State. Going by the modus operandi, looks like it is one particular gang that has been operating in the City. 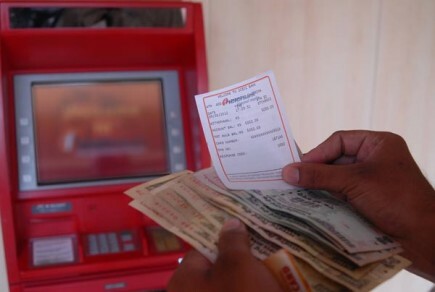 They have targeted ATM centres in areas that are less crowded or have no security guards. Once they fail, they immediately shift to another area and rent a house. These offenders have been shifting their base from one place to another. That is one reason we are finding it difficult to nab them. One thing that can help speed up the process of any investigation is having a database of all the tenants,” says additional commissioner (crime) Sandeep Shandilya. Since many centres now require customers to insert their debit/credit cards for the doors to open, most of the banks think it is not mandatory to have any security personnel deployed. City police, however, have sent out circulars to all banks asking them to deploy security personnel at every ATM centre. “Either there is no security or even if there is one, he sleeps inside the ATM centre since it is air conditioned. This is proving advantageous to the offenders to plot a robbery at an ATM,” says a senior police official. On January 21, SBH ATM at Murali Nagar was targeted by two masked men. On January 24, a Canara bank ATM at Muralinagar was targeted by the same gang. Two robbers tried to break open a State Bank of Hyderabad (SBH) ATM at Punjagutta on May 4. HDFC ATM bank was targeted on May 15 at Shaikpet by two people. The same duo attempted to loot the Karur Vysya ATM at Manikonda on the same day.